Venezuela’s Archipelago Los Roques islands offers one of the best kite surfing destinations in the world. Los Roques is a set of about 350 islands, cays, and inlets about 155 kilometers off Venezuela’s central coast. And just about every one of them has a great kite surfing location. 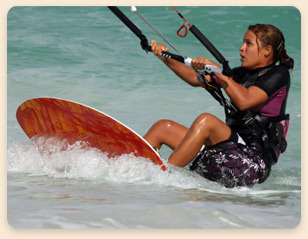 What Makes Los Roques a Great Kite Surfing Location? changes in dramatic shades as you head out deeper. The shallow bottoms along will also allow you to see all the amazing marine life in the clear water off the coast of the Los Roques islands. 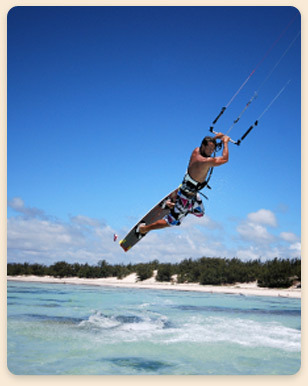 The great thing about Los Roques is that you can find plenty of places to Kite Surf on many of the islands. Prices range, and you can get professional Kite Surfing Instruction, if you’re just starting out. spots near your Posada (Hotel) with the best rates and service.